Back in 1972, in Ways of Seeing, John Berger noted the way that advertising takes world events and trivialises them, to create the distance necessary to use the imagery for advertising. But surely even he could not have imagined the cynicism of this ad. 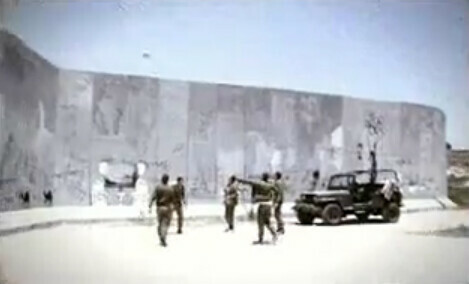 The ad opens with an Israeli Defence Forces vehicle slamming to a halt after something – it turns out to be a football – lands on its bonnet from the other side of the West Bank security wall. One of the Israeli soldiers kicks the ball back over to the Palestinian side, but it soon bounces back, at which point the soldiers decide to hold an impromptu game with the faceless ‘others’, cheered on by female soldiers. 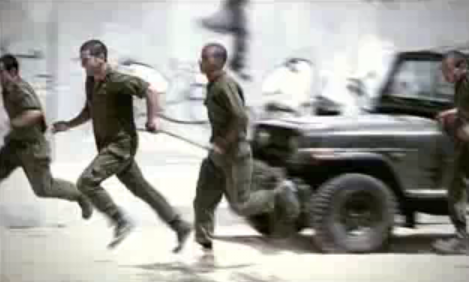 When the ball comes back a further time, one of the soldiers alludes to the 'naughtiness' of the invisible Palestinians who return the ball. This disgusting ad perpetuates the dehumanisation of the Palestinians, whom we never see, and trivialises their oppression. Any real attempt to breach the wall would be met with gunfire, not laughter. Encouragingly, there is already some resistance in Israel, where a Facebook group has called for the ad to be banned. There seems to be a disturbing trend toward normalising war in visual culture – for further evidence, check the recent, oddly melancholic and troubling Matchbox army ads (discussed on the Creative Review blog. This 21st-century trend must be challenged, because war is no laughing matter. See also: Noel Douglas’s article ‘Whose space?’ on the Eye website. And ‘Treasure trove of graphic resistance. Black Panther: Emory Douglas and the Art of Revolution’ on the Eye blog.